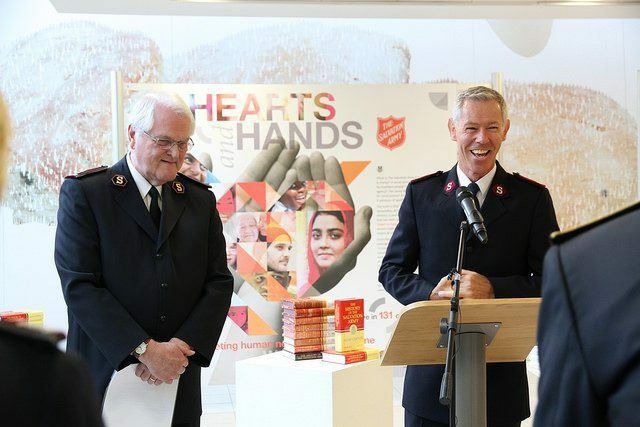 General Brian Peddle launched a new book, The History of The Salvation Army Volume Nine 1995–2015, at a gathering Aug. 30 at International Headquarters with the author, General Shaw Clifton (Ret. 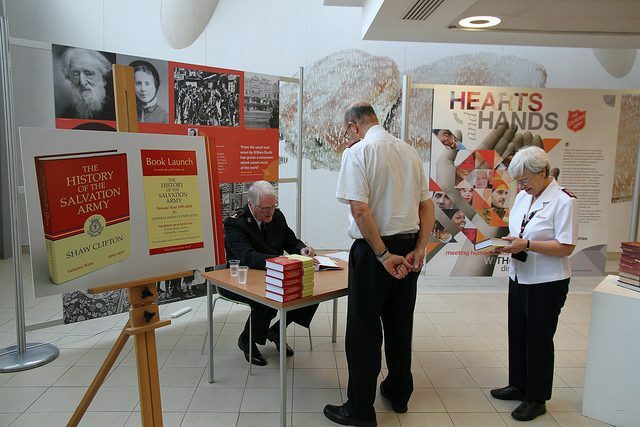 ), who spoke about the process of distilling 20 years of Army history into the new book, and about the effect so many inspiring stories of Salvation Army ministry had on him. Clifton read an excerpt from the book—an example of selfless service by then-Captain Suresh Pawar, a Salvation Army officer stationed in India. 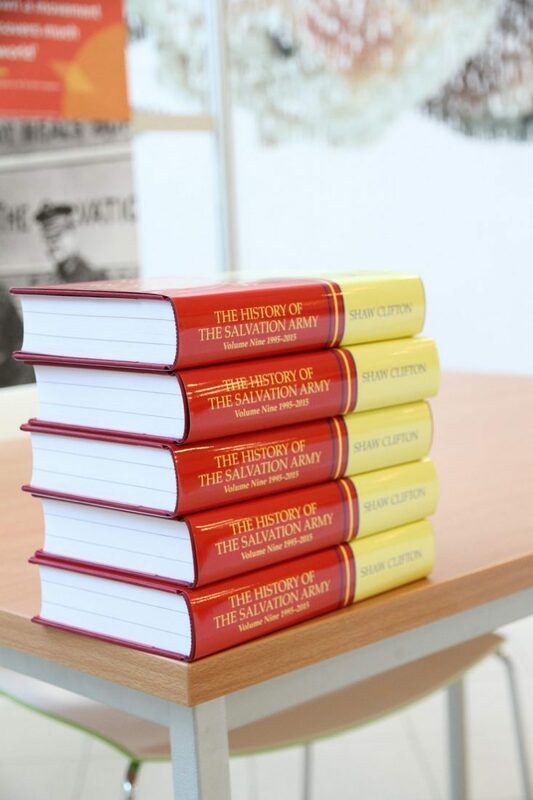 The project to compile the ninth volume of The Salvation Army’s official history began nearly three years ago, at the initiative of former IHQ Communications Secretary Lt. Colonel John Murray. Clifton also paid tribute to Major Richard Gaudion, who had undertaken the role of his Private Secretary for two years during his tenure as territorial commander of the United Kingdom Territory with the Republic of Ireland, and for a further five years throughout his time as General. “His input on the book has been beyond price,” Clifton said.